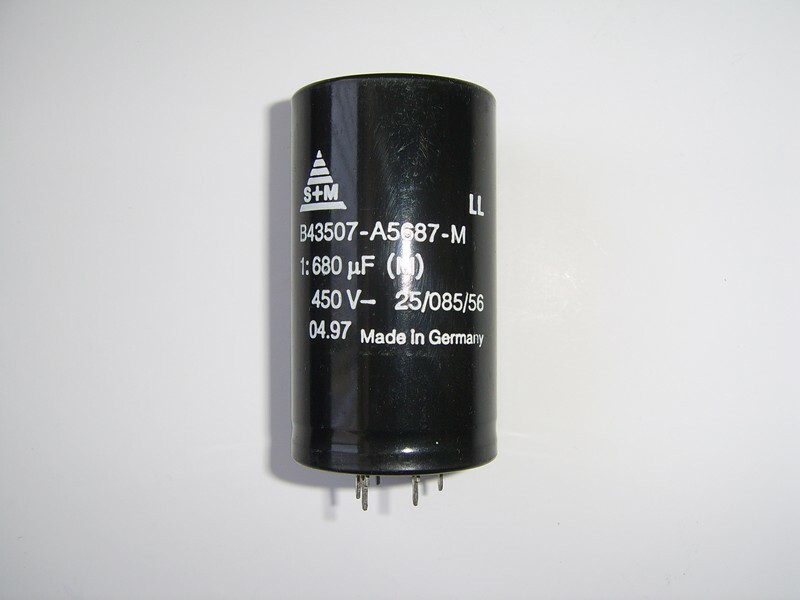 S+M 680 uF / 450V Polarised Electrolytic Capacitor with Low ESR. EPCOS 820 uF / 450V Polarised Electrolytic Capacitor with Low ESR. 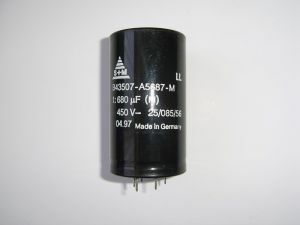 EPCOS 1,000 uF / 450V Polarised Electrolytic Capacitor with Low ESR.